It’s down to the last months of this current year, but concert promoters and big-name music acts want to give you a head-start of planning your concert schedule for 2012. The economic climate may be saggy, so that’s why the key strategy is the move out the tickets fast and early. That way, you’re all set to see that superstar act eight months, perhaps up to a year down the line. Also at this time of the year, the ticketing companies hope to market it as that pertinent Christmas gift idea for the holiday shopping season. Radiohead from their 2008 tour. British super-rockers Radiohead will hit it out first with a rare U.S. tour next spring. The usually elusive band has lately become accessible to the public in recent appearances on TV with Stephen Colbert and a pair of intimate club gigs in New York. 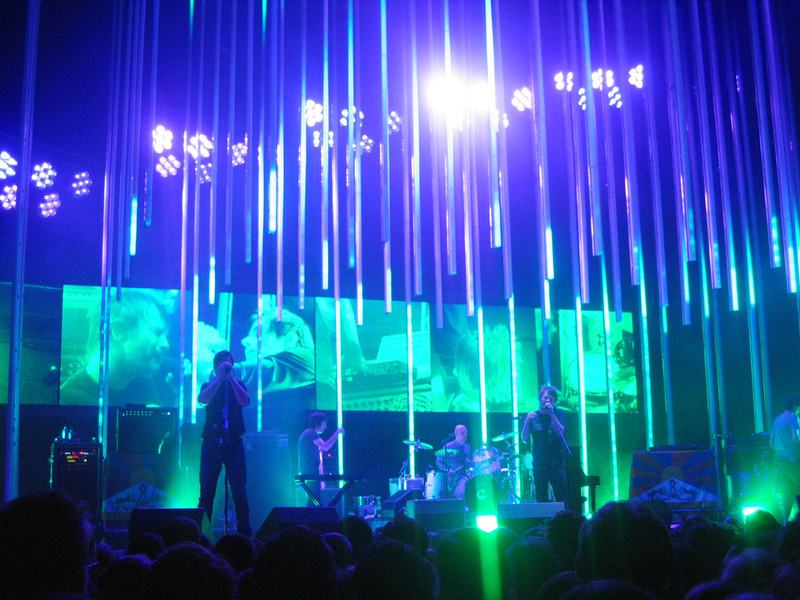 In support of Radiohead’s current release, which incarnated as a digital download in February, The King of Limbs, the new tour kicks off in Miami on February 27, 2012, with a promise of newly announced dates and cities at a later time. The presale begins tomorrow at their website: http://www.waste-central.com/. The popera male vocal quartet, Il Divo, also made ripples with their own splashy concert announcement. To coincide with today’s release of the quartet’s fifth album, Wicked Game, a major tour was inevitable. With a more complete and thorough tour itinerary, those well-dressed crooners will have already conquered the rest of the world before landing in North America. The intercontinental jaunt begins February 7, 2012, in Capetown, South Africa, then making its way to Windsor, ON on May 18. In between, Australia, Europe and the UK receive appearances by the group. Las Vegas show director Brian Burke will head up the visual spectacle of this new tour. His previous shows were Celine Dion’s “A New Day” Concert and the Cirque-inspired La Rêve. Ticket presales begin November 14 at http://www.ildivo.com. I should expect more big concert announcements soon before the year is up. Do I hear the melodies of Coldplay? Good to have you back and at it. We will be looking forward to more insights of the culture scene as the year unfolds. Take care.